MELT ICE SAFELY. 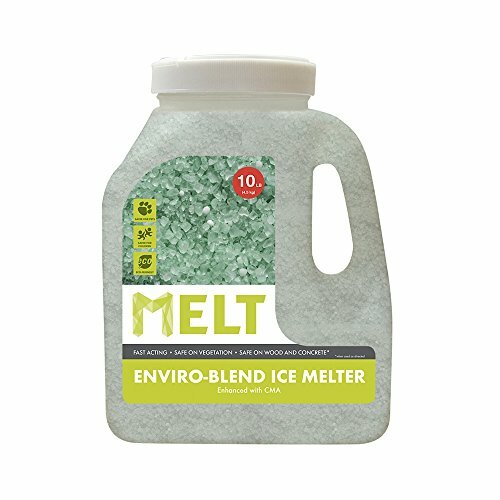 MELT enviro-blend ice melter provides a greener, yet equally effective, deicing alternative to more harmful melting agents. 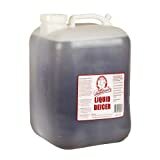 When used as directed, MELT enviro-blend will not harm grass, wood, concrete, metals or other vegetation and is safer for pets, children and the environment. MELT enviro-blend exhibits the following properties: ANTI-CORROSION FORMULA: Enhanced with CMA (calcium magnesium acetate), an environmentally benign deicing agent, MELT enviro-blend ice melter delivers fast and effective results without damaging metal surfaces, such as the exteriors of cars, trucks and other equipment. FAST ACTING: MELT enviro-blend goes to work immediately upon contact with snow and ice to accelerate the deicing and melting process. Pre-treating surfaces with MELT enviro-blend will also prevent ice and snow from accumulating. LONG LASTING : MELT enviro-blend time-relaxed formula stays on the surface area longer for added protection and better control of the freeze/thaw cycle. SAFER TO HANDLE: When used as directed, MELT enviro-blend will not dry out or irritate the skin and can be safely and easily dispensed without requiring the use of protective clothing. NON-TRACKING: When properly dispensed, MELT enviro-blend will not track onto your home’s floors or carpets, so you can safely tread your your home. TRACTION CONTROL: Enhanced with dolomite, MELT enviro-blend provides superior traction control for increased safety and efficacy.ECO-, PET- AND KID-FRIENDLY: Formulated from nature’s own ingredients, MELT enviro-blend provides a greener solution to deicing that is safer for pets, safer for children and safer for the environment. MELT enviro-blend leaves no slimy residue behind, making it safer to use on grass, turf, around trees and other vegetation. EASY TO DISPERSE: MELT enviro-blend is specially treated with an anti-caking agent to extend shelf life and improve dispersion.